A mentally-ill man who killed his mother and told police it was after a row over the amount of milk in her tea has been detained indefinitely. 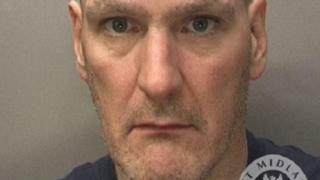 Thomas Westwood, 47, inflicted nine stab wounds using "severe" force on Susan Westwood, 68, at their Coventry home, Warwick Crown Court heard. He admitted manslaughter on the grounds of diminished responsibility last year. Judge Andrew Lockhart QC said he had been driven by anger, and had "torn apart" the lives of his family. Passing sentence over a video-link to a secure mental health unit, he made Westwood the subject of an indefinite hospital order. He also sentenced him to a 16-year prison term with an extended licence period of five years. After the attack in December 2017, Westwood told a police officer his mother threatened him with a knife because her tea "wasn't milky enough". But prosecutor Peter Grieves-Smith QC said the knife claim was believed to be a symptom of his mental illness. Mr Grieves-Smith said Westwood had later asked to speak to a solicitor while on remand in prison, when he admitted he had not acted in self-defence and expressed regret. Westwood had mental health problems since the 1980s and had been diagnosed with paranoid schizophrenia and autism spectrum disorder. He slept on the sofa at the one-bedroom home in Cavendish Road, Tile Hill, and his mother did all she could to support him, the court heard. He was seen by a neighbour in an agitated state shortly before the attack. Judge Lockhart ruled his condition was not the sole cause of the offence but had affected his ability to control his anger. "I am clear that whilst you have long-standing mental health problems, you felt great anger towards your mother - anger was the primary and driving reason why you killed her," he said. He said Westwood had told "deliberate untruths" about his mother. "There is no reason at all why she would ever attack you. This case is a tragedy for all involved," he said.